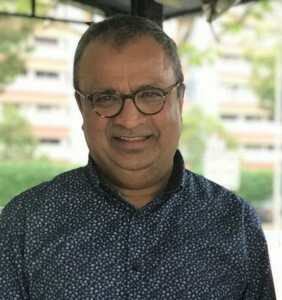 Vasuki Shastry, most recently Standard Chartered Bank’s Head of Global Public Affairs and an author of a 2018 book on: “Resurgent Indonesia- From Crisis to Confidence”, will discuss the likely direction of Indonesia’s economy and policy making post the April 2019 Presidential Elections. . In 1997 Thailand caught a cold from the Asian Financial Crisis and Indonesia burned with a fever that led to the MaY 1998 fall of President Soeharto’s authoritarian regime, the imposition of IMF economic mandates, and the rebirth of Indonesia’s democracy. Writer Kevin O’Rourke reported extensively on the heady days of the reform m ovement, authoring a definitive account of the period, “Reformasi: The Struggle for Power in Post-Soeharto Indonesia”. Since then he has published one of the best weekly analytical reports of Indonesia’s political and policy developments, “Reformasi Weekly”. On June 6th* AICC welcomes back two leading analysts based in Indonesia who will critique Indonesia’s current economic policies, analyze Indonesia’s perspective on geopolitical developments in Asia, as well as discuss the current maneuvers of the leading candidates for the 2019 national elections for President and Vice President. James Van Zorge, founding Partner, Gordion Knot Advisory. 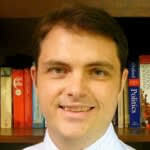 Van Zorge is one the leading foreign political risk analysts based in Indonesia. GKA helps put foreign firms on the right path through Indonesia’s maze of regulations and policies. Van Zorge, a Harvard University graduate has contributed often to the Wall Street Journal, New York Times, Bloomberg, Jakarta Post, Jakarta Globe, and Far East Economic Review. * PLEASE NOTE: THIS EVENT WAS ORIGINALLY SCHEDULED FOR APRIL 27. The Asia Pacific Business Outlook conference (known as APBO) sponsored by the US Department of Commerce and hosted by USC’s Marshall School, brings Senior Commercial Officers from the 17 countries of the Asia Pacific region (including Indonesia) back to the US for in-depth briefings and one-on-one appointments. AICC President, Wayne Forrest, will also lead a session on doing business in Indonesia. The conference is an excellent primer for any company looking to invest or do business in Indonesia and the region. AICC Members/Friends Discount: Use code FOS2018 to get $200 off the registration fee.